The Philippine Marketing Association (PMA) holds the 1st Asian Marketing Leadership Summit (AMLS) to be held at the Sofitel Hotel in Manila on July 8-9, 2015. 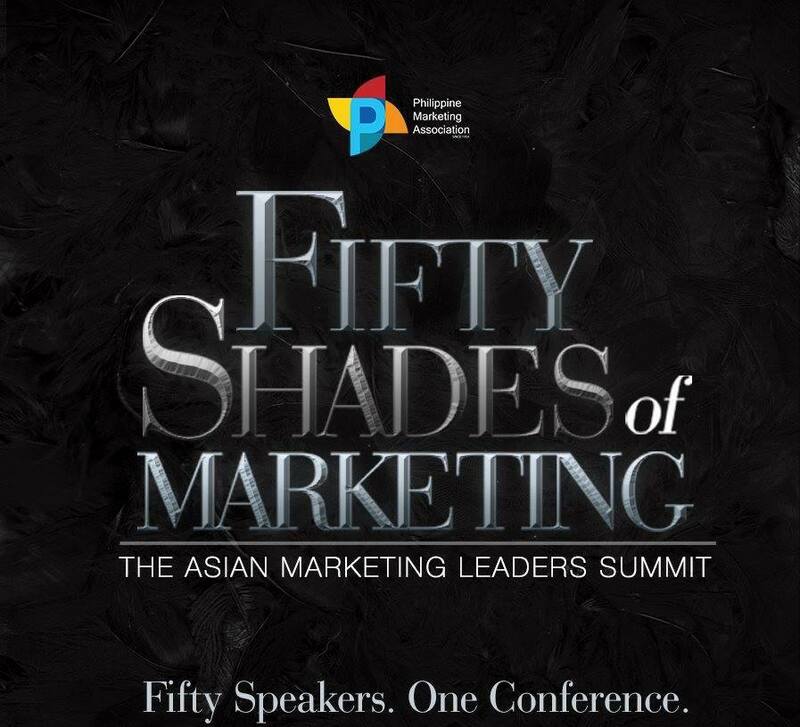 The AMLS is the new brand of the annual marketing conference that PMA stages. 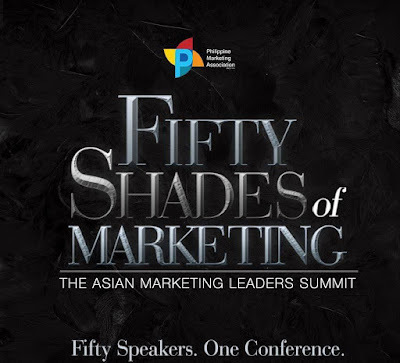 But unlike the previous conference, this year is much more of a gathering of marketing leaders, a summit where there will be more discussions and interactions. 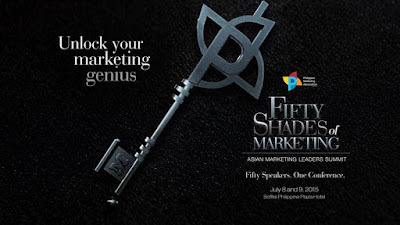 Following the theme, the association has invited fifty (50) different marketing practitioners, each bringing what they know -- their own marketing shade. “We felt that every marketing person has his or her own shade of creativity and innovation. 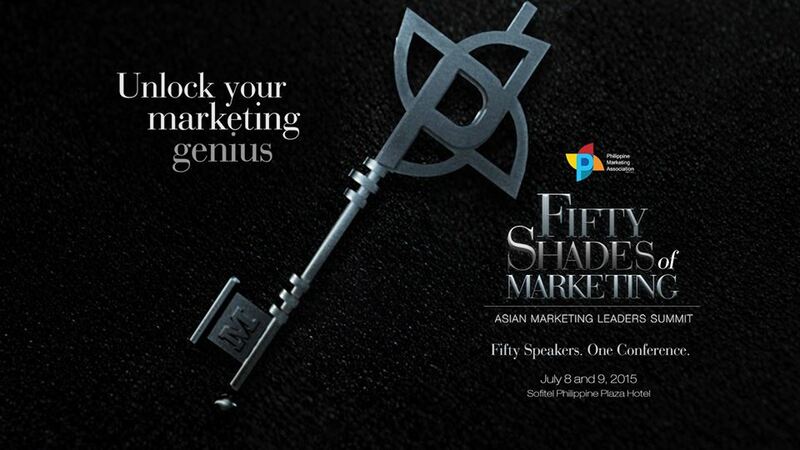 Basically 50 shades mean 50 kinds of marketing persons showing their expertise,” Lim said. Participants can choose from three (3) different tracks like Branding, Media & Communication, and Digital. 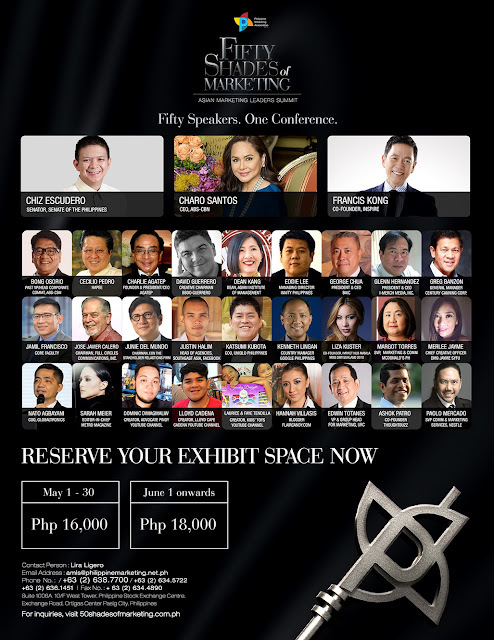 There will be speakers from government, showbiz, branding, digital, all talking about their marketing shades – how they solve their marketing problems and what makes their solutions different. The summit is not only an opportunity for every marketer to grow and learn. It also serves as a venue for them to get to know fellow marketers. “Participants could learn as much by choosing the track that they want. They should also take this chance to network like they’ve never networked before,” advises Lim. The event will be held on July 8 and 9 at the Sofitel Tent. Senator Chiz Escudero will deliver the keynote during the plenary session while Francis Kong will close the plenary. On day two, ABS-CBN CEO Charo Santos will open the session while the closing plenary will be an ABS-CBN Special Aquino & Abunda session with celebrity guests. If you want to know more about marketing in the digital age, unlock this box of knowledge by attending the conference.